Dr Anino Emuwa is an international management consultant and founder of Avandis Consulting in France. An alumna of the LSE, Anino graduated with a BSc Economics, specialising in monetary economics under Professor Charles Goodhart. She started out her career at Citibank Nigeria in the corporate bank where she became a member of the bank’s credit committee with responsibility for a portfolio of multinational corporations. Anino has extensive experience working with African SMEs in Tanzania, Cameroon, Ghana and Nigeria. She advises entrepreneurs, business owners and SMEs on strategy and funding, and leads business seminars for women business owners in Lagos and previously in Accra. Anino obtained her MBA from the Cranfield School of Management. She was awarded a Doctorate in Business Administration by Nottingham Business School, where she is now an alumni fellow, for her research on overcoming obstacles to SME credit in Nigeria. 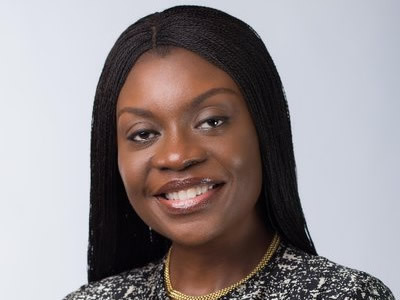 Dr Emuwa is an experienced non-executive director and currently sits on the board of the Nigeria Mortgage Refinance Company PLC, chairing the audit committee. She is a member of the Institute of Directors, London; the Institute of Small Business and Entrepreneurship; and the European Council for Small Business and Entrepreneurship. Anino has been a speaker, panelist and moderator at several entrepreneurship conferences and events in Europe and in Nigeria. She is an AACSB endorsed business school instructional practitioner and is bilingual in English and French.